What if I told you that scientists are close to figuring out how to make sposies breakdown in a matter of months rather than centuries?! Would you be impressed? I was astonished! Thanks to a scientist named Alethia Vázquez-Morillas from the Autonomous Metropolitan University in Mexico City this is looking more like a reality. 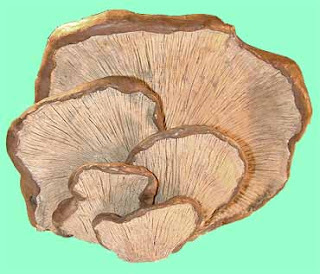 The use of oyster mushrooms is making impossible feat possible. The oyster mushroom feeds off of decaying trees by breaking down cellulose (the main component of sposies). The break down of cellulose, by oyster mushrooms, results in a 90% breakdown of the disposable diaper in just 2 months and the remaining 10% is broken down in the next 2 months. So lets pretend that you have a compost pile (and you use sposies). Maybe you should trow (like throw without the H) some oyster mushrooms in there with your diapers and see what happens! !